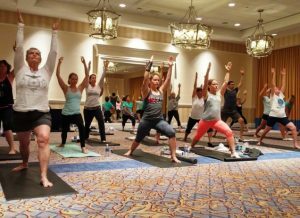 The CMSC Annual Meeting is a unique and diverse educational program with the latest information to enhance knowledge, competence, and professional performance for physicians, nursing clinicians, rehabilitation specialists, and other MS health care professionals. 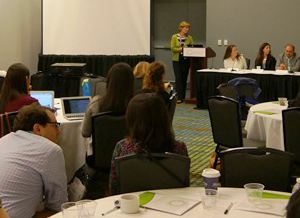 It is also an important opportunity for networking in the MS professional community. The next meeting will be held May 24 – May 27, 2017 in New Orleans, LA. For full details, please visit http://cmscscholar.org/2017-cmsc-annual-meeting/. 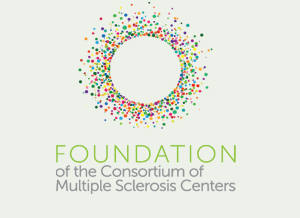 On behalf of the CMSC and the Foundation of the Consortium of Multiple Sclerosis Centers (FCMSC), we are pleased to announce the availability of a limited number of training scholarships for neurology Residents to participate in 2017 CMSC accredited educational sessions. These sessions offer specialized training in MS and are not generally accessible within the applicants’ home institutions. Applicants’ schedules must allow them to participate in CMSC sessions of their choice and recognition events on Wednesday evening, May 24 and Thursday afternoon, May 25, 2017. Each successful applicant who is awarded will receive a $2,000.00 grant to enable participation in the educational sessions at the 2017 Annual Meeting of the CMSC. This scholarship funding should cover travel, lodging and reduced rate meeting registration. All expenses in excess of the scholarship funding are personal responsibility of the scholar. Buffet meals are provided by the CMSC for meeting attendees. No other meal expenses will be covered by the scholarship funding. 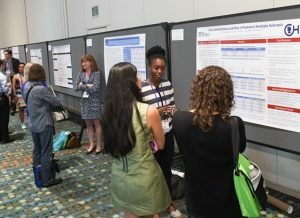 Scholarship recipients will be required to provide formal follow-up on their experience following the Annual Meeting immediately post-program as well as annual outcome surveys. Scholarships will be awarded after review by the CMSC/FCMSC scholarship review committee. Selection of qualified candidates is independent of the funding supporters. Applicants must be in active resident training. Post-doctoral fellows are not eligible for this scholarship. Applications are due by midnight, March 19, 2017.